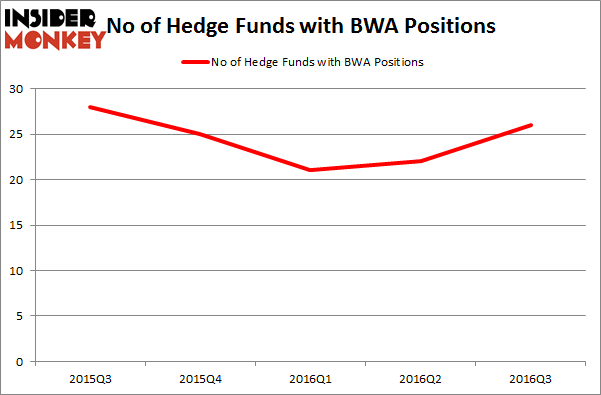 Are Hedge Funds Right About BorgWarner Inc. (BWA)? Hedge Funds and other institutional investors have just completed filing their 13Fs with the Securities and Exchange Commission, revealing their equity portfolios as of the end of September. At Insider Monkey, we follow over 700 of the best-performing investors and by analyzing their 13F filings, we can determine the stocks that they are collectively bullish on. 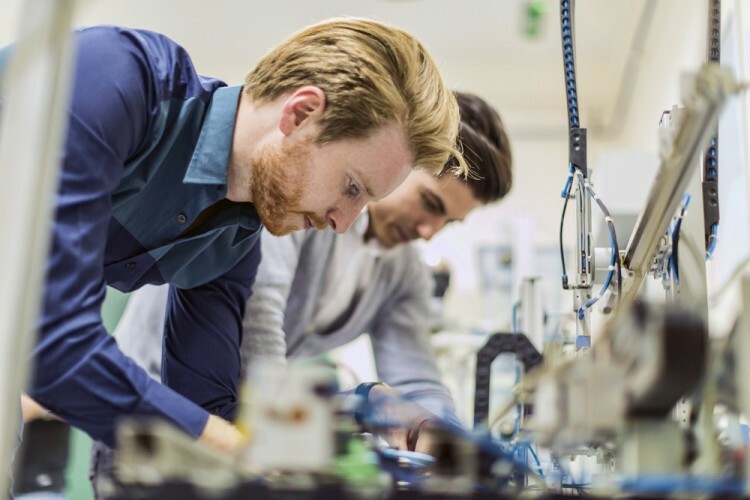 One of their picks is BorgWarner Inc. (NYSE:BWA), so let’s take a closer look at the sentiment that surrounds it in the current quarter. BorgWarner Inc. (NYSE:BWA) shareholders have witnessed an increase in enthusiasm from smart money recently, as hedge fund ownership of BWA trended up by four funds over the most recent quarter. The level and the change in hedge fund popularity aren’t the only variables you need to analyze to decipher hedge funds’ perspectives. A stock may witness a boost in popularity but it may still be less popular than similarly priced stocks. That’s why at the end of this article we will examine companies such as iShares NASDAQ Biotechnology Index (ETF) (NASDAQ:IBB), American Financial Group (NYSE:AFG), and Flextronics International Ltd. (NASDAQ:FLEX) to gather more data points. At Q3’s end, a total of 26 of the hedge funds tracked by Insider Monkey held long positions in this stock, a jump of 18% from the second quarter of 2016. After falling for 2 straight quarters, hedge fund sentiment has now rebounded over the past 2 quarters, though not quite enough to make up the declines. With the smart money’s sentiment swirling, there exists a select group of noteworthy hedge fund managers who were upping their stakes meaningfully (or already accumulated large positions). According to publicly available hedge fund and institutional investor holdings data compiled by Insider Monkey, Ric Dillon’s Diamond Hill Capital has the largest position in BorgWarner Inc. (NYSE:BWA), worth close to $316.3 million, amounting to 2% of its total 13F portfolio. Coming in second is Ariel Investments, led by John W. Rogers, holding a $58.7 million position. Remaining hedge funds and institutional investors that are bullish consist of Ian Simm’s Impax Asset Management, Ken Griffin’s Citadel Investment Group, and Mario Gabelli’s GAMCO Investors.